Reliability predictions are one of the most common techniques used for engineers for product and system reliability analysis and assessment. Reliability prediction is a method of analysis employed to predict the reliability of a product or system. They enable you to obtain an estimate of the reliability characteristics of your product prior to manufacturing. Though reliability predictions tend to be utilized most often in early design stages, they can be used throughout the product lifecycle to provide insight into the reliability of your product. 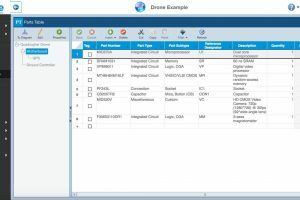 The inputs provided to a reliability prediction are the components, or parts, in your system and their associated operating parameters – such as environmental conditions, and electrical and temperature stresses. The output of a reliability prediction is the predicted failure rate. Failure rate is a value expressed as the number of failures over a particular time period. The most commonly used units for failure rates are Failures per Million Hours (FPMH) and Failure per Billion Hours (FITs). For example, a failure rate of 10 FPMH indicates that the system under analysis is estimated to fail 10 times over a million hours of operation. There is no specific “recommended” failure rate, because systems are vastly different in terms of composition and use. In most cases, there is a target goal or objective, or a failure rate that is considered to be acceptable. The idea is to use reliability prediction as a tool to help you achieve your goal. MTBF analysis is used to estimate or assess the MTBF, or Mean Time Between Failure, of a product or system. It is often used as another term for an analysis based on reliability prediction techniques. MTBF is a unit of measure used to describe the failure characteristics of a product or system. MTBF is almost always expressed in terms of hours. For example, an MTBF of 1000 hours indicates that the system will likely operate for 1000 hours before failing. It does not indicate that unit will fail precisely at 1000 hours! MTBF is the time a system can be expected to operate between failures for systems that are repairable. Another measure similar to MTBF, but useful for non-repairable systems, is MTTF, or Mean Time To Failure. MTTF is the mean time expected to the first failure. Because the system is non-repairable, the first failure is simply the time to failure. There is a relationship between MTBF and failure rate: MTBF is the inverse of failure rate. So for example, for a system with a failure rate of 10 FPMH, the MTBF of that system is 100,000 hours. What are the 3 key advantages of reliability predictions and MTBF analysis? Reliability predictions, or MTBF analysis, can be an instrumental in helping manage and maintain your product reliability and quality goals. There are many advantages to performing reliability prediction analyses, and we’ll highlight three significant ones in this article. 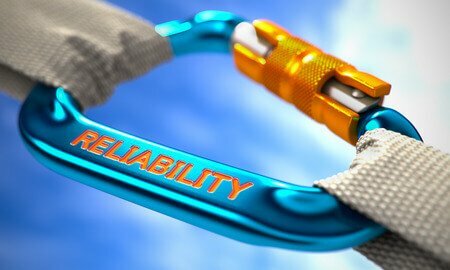 Look for future posts on reliability predictions and their additional benefits. Reliability Predictions enable you to start at the design phase and take reliability into account from the beginning. Far too often, reliability is considered “after the fact” – when design is complete, and product is already out in the field. Or, reliability is brought to the forefront when products begin encountering failures once deployed and in use. While reliability predictions are still helpful at these stages, reliability predictions can have impact early on, when product design is still occurring. The easiest and least costly time to make product design changes is when you are at the paper-stage! The further along in the product lifecycle you are, the harder and harder it becomes to change the design – in terms of time and money. Therefore, a key value of reliability prediction analysis is that is can be done early in the lifecycle. Few tools in the engineer’s toolbox have this capability. 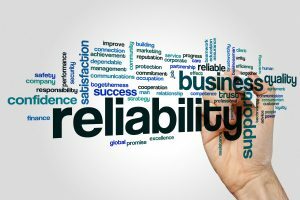 For this reason, reliability predictions remain a constant in organizations with a strong reliability and quality commitment. Have an early design layout on paper? 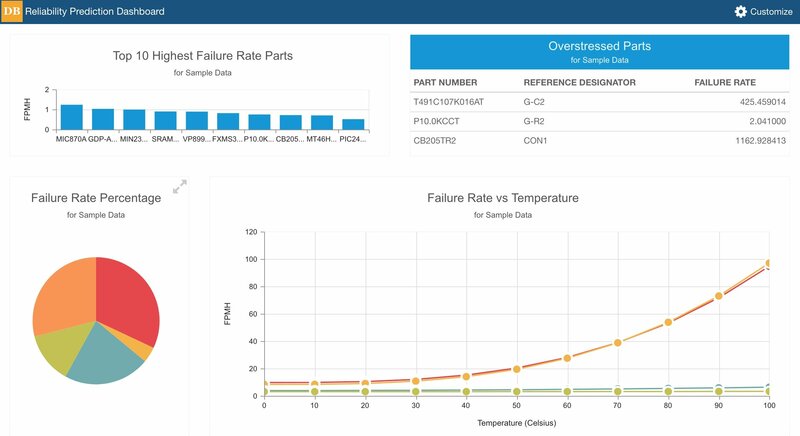 Perform a reliability prediction using the available data to get a feel for your failure profile. As information becomes more detailed, augment your prediction with this data to refine and tune your prediction analysis. You can see if your reliability goals are being met, or if you are getting better or worse. The cycle can be continually repeated until you are confident you have a design in hand that will achieve your reliability objectives. Not only will you save time and money with good upfront design, but you will also have confidence in your design as product development begins. Reliability Prediction is a great tool for assessing the impact of design tradeoffs with regards to reliability and quality. Once again, this can be especially helpful in early product design stages. Perhaps you are considering two design alternatives. By performing a reliability analysis on both choices, it may become clear that one approach has a higher probability of failure. Or, the analysis may indicate that the two approaches share similar failure probability profiles. In either case, this knowledge is an important consideration when determining which design to invest in. Alternatively, you may have the case where you are investigating alternative design modifications. This may be for any number of reasons – perhaps to correct design flaws that are creating failures being reported by your customers. In this case, reliability prediction analysis can be enlisted to help decide which approach is going to result in better product reliability. In this use case, you can see why using reliability prediction as a trending analysis tool would be helpful. Even if you are not concerned with the exact values, you can compare the results of competing design modifications – perhaps one design has a failure rate 20% less than the other. Armed with this comparative analysis, you can make a more informed decision. In any business environment, the impact of product design and development decisions directly impact the bottom line – not only in terms of profit and loss, but also in the cost of poor quality (COPQ). While it is clear how to measure bottom line profit and loss numbers, the COPQ is often hidden and only slowly revealed. By building in reliability from early on, you are ensuring your business will not suffer the burden and costs of poor quality. And one of the best techniques for this early analysis is reliability prediction. Performing reliability prediction allows you to have measurable statistics on which to base your design, and ultimately, your business decisions. Should you invest in Design A over Design B? Will Design B have reliability issues if built as designed? Will a redesign result in better product reliability? Are there other design factors I can tweak to make my product more reliable? Are there specific areas, components, or devices driving my overall product reliability? These are just a few of the important questions reliability predictions can help you answer. Reliability predictions can be useful tool in your engineering toolkit. They can be part of your overall strategy for ensuring your product reliability goals are being met, and can aid in your continual product improvement objectives. Relyence Reliability Prediction provides an efficient platform for performing reliability predictions and MTBF analysis. If you are interested in learning more about reliability prediction and MTBF analysis, feel free to check out our Relyence Reliability Prediction trial or contact us. We offer a completely free online trial – nothing to download or install – as well as free webinar demonstrations.